Posters - Don Phin Esq. Every company must make sure it’s compliance posters are up to date. For over 10 years Don has referred his clients to the same wholesaler, ALLC, to assist with poster needs. All posters are printed “on demand” to make sure they are up to date. ALLC supports our clients with the results of intense research into upcoming legislation from their Compliance Services Department and provide a prompt update notification whenever a change in mandatory posting laws occurs. They are both price competitive and a pleasure to work with. 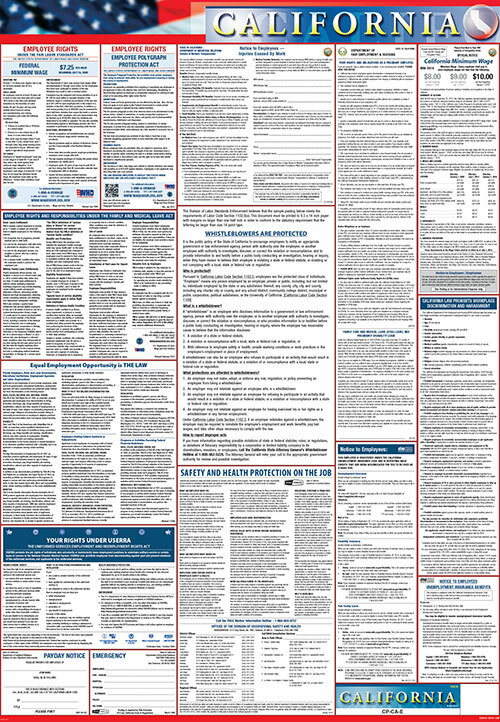 To get your compliance and safety posters today click here.